Du kan ikke bli bedre enn dette! Fantastisk første etasje to roms leilighet, med eget bad og ett dusjrom / garderobe. Romslig lys åpen planløsning, med alle maskinene. Plasseringen av dette hotellet gjør leiligheten helt unik-du er bokstavelig talt øyeblikk fra t-banestasjonen og noen av de beste butikkene og likevel leiligheten er fredelig og rolig. I et meget eksklusivt område av London, med mange kafeer, barer og puber rett rundt hjørnet - er det en 5 minutters gange til Portobello Road og Notting Hill Gate. Denne leiligheten har nettopp blitt fullstendig redesignet og dekorert, med kvalitetshvitevarer og møbler og inventar, ingenting, men best. Ren og ny innredning, lys parkett, teppebelagte soverom, topp kvalitet sengetøy. Ser ut til noen av de dyreste eiendom i London, og grøntområder. Du vil være helt overrasket over hvor nær du er alt London har å tilby. Trådløst internett inkludert. Paradis! Uten palmer! Reiste med 3 ungdommer. Leiligheten er super, alt du trenger til korte og lengre opphold. Alt på stell. Veldig hyggelig vert som lot oss få sjekke ut senere en avtalt. Nabolaget er koselig med alt du trenger i umiddelbar nærhet. Thank you for the five stars review Victoria. I would like to welcome you again and all your Norwegian friends, many thanks. Apartment was well kept, had all the amenities we were looking for. Location is perfect be around the corner and local cafes/pubs. We will return. We just spent a wonderful week at this cute, clean and quiet flat in Holland Park. The tube station is a 60 second walk with groceries and shops 90 seconds around the corner. The flat is nicely furnished and decorated. It has pretty much everything one needs for an enjoyable stay. The location is awesome and the tube station next door allows the ability to travel to most places in Central London within 20 minutes. Yvonne is an excellent host who is very responsive and caring. We were impressed with her attention to detail. We would definitely stay here again. What a great find! Thank you so much for your review. I appreciate it and look forward to the next time William. 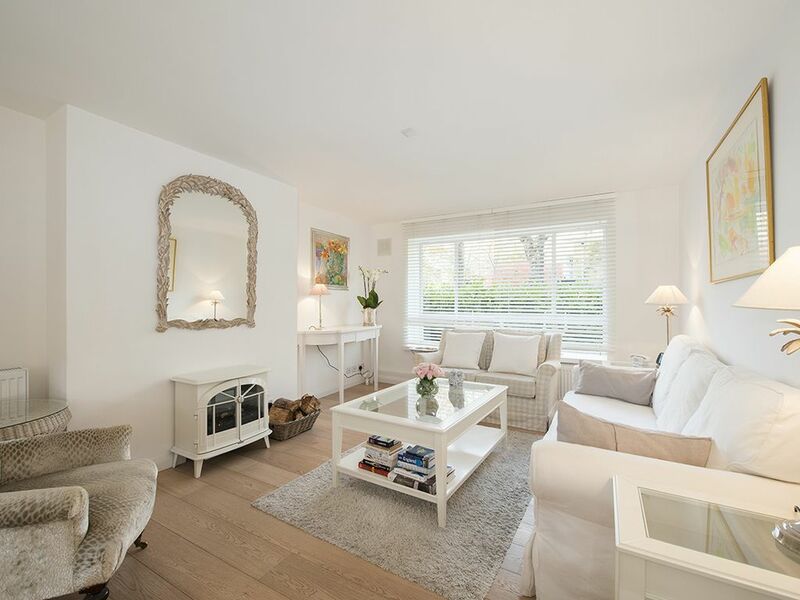 Lovely 2 bedroom apartment located right near Holland Park tube station. All the sights in London easily accessible by tube and some beautiful places within walking distance. Two supermarkets close by and several pubs, cafes and shops. The apartment was well appointed and cosy warm. Lovely host who responded very quickly to all my enquires. I would definitely recommend this apartment for your London stay. Stayed here in January 2018 and had a great time. The apartment was perfect accommodation for a stay in London. The apartment was extremely spacious, clean and well equipped. It was only 2 min walk to the nearest tube. Thank you Marcelo for your review. A warm, welcoming, well kept flat, conveniently located on the central line and minutes from any conveniences a family with three young kids could need. We think we have found our London base for when we visit in the future. Yvonne was helpful and available. Thank you. Holland Park med en restaruant og kafé, det har også en populær lekeplass for barn, Barnes Wetland Centre for fugletitting og natursti, Legoland i Windsor, Sykling rundt i byen på en "Boris sykkel", Golf på Chiswick, Skøyter i Queensway , rulleskøyter i Kensington Gdns / Hyde Park. Hesteridning i "Rotten Row" Hyde Park fra stallen i Bayswater, Tennis i hele London Parker, The British Library på Euston, All London museer og turistattraksjoner .. fantastisk kafé scene og mange puber, gode restaraunts - alt innenfor gangavstand , også Portobello Rd. markedet på Notting Hill Gate. The 'Oxford Tube ", en hyppig busstjeneste som går hele dagen og natten - buss-stopp er rett rundt hjørnet, tar deg til universitetsbyen Oxford for £ 20 retur. Payment is only accepted in the quoted currency. A 25% deposit payable on booking. Remainder of rental fee payable 6 weeks before rental period starts or by negotiation. The price quoted is for a maximum of 4 persons, a fifth person would incur a charge of £10 per night. The price is inclusive of everything. Bookings less than 5 nights incur a cleaning laundry fee of £20 per night.